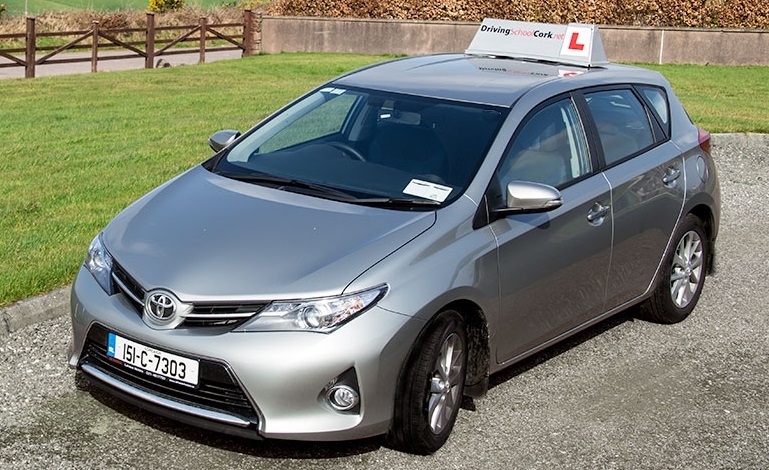 Do You Need Driving Lessons in Cork? If you need Driving Lessons in Cork then you’ve come to the right Driving School. My Name is Madiar Ryskulov and I am an approved Instructor by the Road Safety Authority. If you are looking for a Full Licence, I can help. We can assist you in Passing your Driving Test at Wilton Test Centre and give you all the Essential Knowledge through the RSA’s EDT program Launched in 2011. This involves 12 Compulsory Lessons. Click on the EDT tab to read more about EDT. Whether you are a Nervous Beginner or an Advanced Driver, I can help. Above is the Car you will be start your Lessons in. It is a Toyota Auris 1.4cc Diesel 4 cylinder engine. It is fitted with a secondary brake and clutch which means your lesson can be controlled from the passenger seat to help you build confidence. It has 6 forward manual gears and a reverse. It is also fitted with secondary mirrors so your driving instructor can teach you to spot hazards quicker and ensure you get the most from your lesson. Here at Driving School Cork we pride ourselves on the fact that our students get clear, simple tuition. Your first lesson in Cork would be somewhere quiet, not too busy with little or no distractions. This allows the student to focus on the instructors words and actions thus creating a better student teacher understanding. Our Instructing methods are the secret to our Success. We are a 3rd Generation Driving School with over 60 years combined experience teaching the people of Cork to Drive Safely and Competently. Come on. Give us a call and we can get you driving today.